CRG’s Short Fuse a Level 3 WFTDA ref! CRG Nation, please join us in offering big congrats to our head referee, Short Fuse! As of June 1, he’s now a certified Level 3 (Silver) skating official with WFTDA! 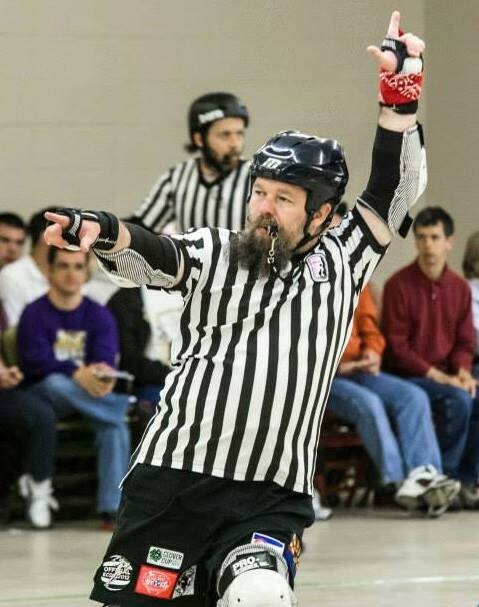 According to WFTDA’s list of Certified Skating Officials, Short Fuse is the ONLY WFTDA certified skating official in the entire state of Louisiana! How awesome is that? !